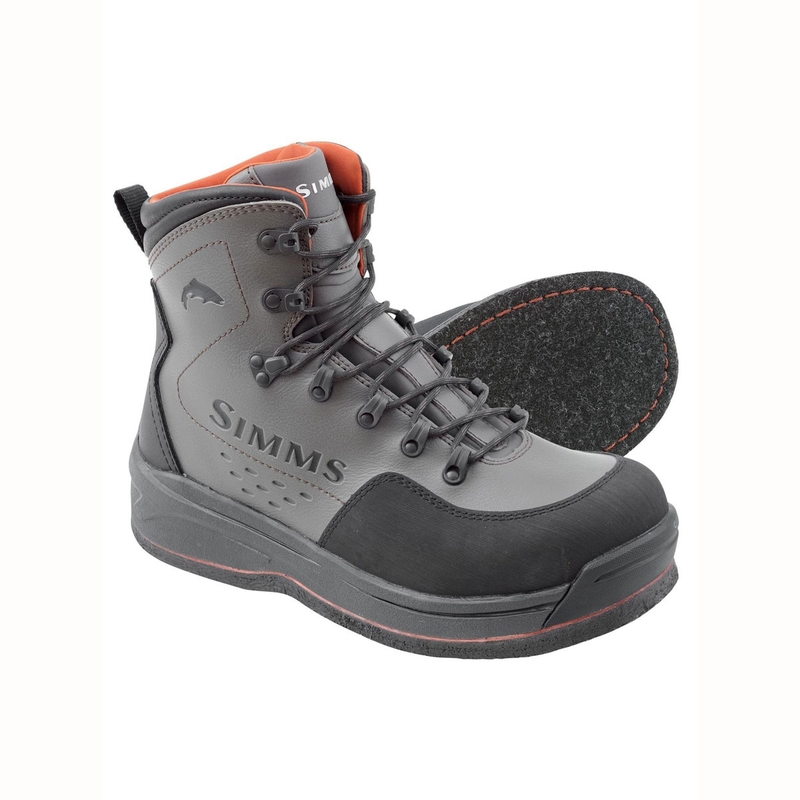 Simms Freestone Felt Boot. A proven wading boot for the support and traction that navigating rocky river beds demands. Ive not used these as yet Im waiting to fit some studs. However I know these are excellent boots and really good value for the money. I normally buy cheap wading boots but they normally fail after a season or two or the felt sole come away. I know a few anglers who have these boots so I expect to get 4 or 5 seasons out of these or possibly longer.